Major consolidation in the outdoor media industry is set to go ahead, with the Australian Competition and Consumer Commission (ACCC) clearing the merger of APN Outdoor and JC Decaux as well as Ooh Media and Adshel. In an announcement is morning, the ACCC said it would not oppose either acquisition. 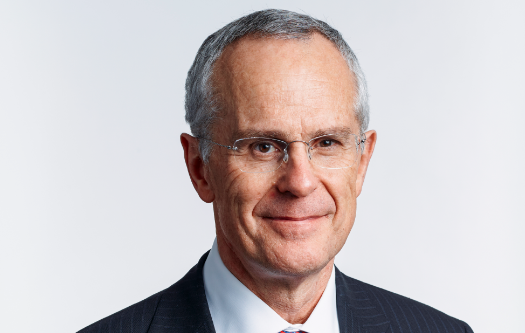 Chairman Rod Sims said the transactions between all business operate predominantly in “complementary segments”. “This is very different to the proposed tie-up in early 2017 between Ooh Media and APN Outdoor, where the companies were in direct competition with each other,” he said. “The information before us, including bidding data for sites, indicates that the respective merger parties rarely compete head-to-head. Sims added while other players have expressed concerns, major media agencies and advertisers were not worried. “The merged companies will continue to compete with each other and with other out-of-home advertising providers. We consider that the options for advertisers and site owners will not change significantly and so neither of the proposed deals is likely to substantially less competition,” he said. The ACCC kicked off the review in June and was supposed to make its final decision on August 30, but brought the date forward by a week. As a result, Ooh Media will now own Adshel, absorbing the brand name into the business as part of the $570m acquisition. Ooh Media and Adshel can also expect ‘cost synergies’ between $15m and $18m as part of the deal. CEO of Here, There & Everywhere Ciaran Davis, said the “final hurdle” had been achieved, telling the ASX the proceeds from the sale would provide the HT&E business with “strong footing” for the future. Ooh Media CEO Brendon Cook said Adshel was the “missing piece” to the out of home portfolio. “Through this acquisition, we will deliver better service to our advertisers and at the same time fast track innovation in our product offering therefore providing us with exciting opportunities for the business and it’s growth,” Cook said. A spokesperson for JCDecaux said: “We’re pleased to note the ACCC’s decision today. We believe that by bringing JCDecaux and APN Outdoor together, we’ll be more competitive within the broader media sector and better able to offer brands more compelling opportunities to deliver their message to audiences across the country. The transaction is expected to be completed by the end of September. Meanwhile, French outdoor giant JCDecaux will buy APN Outdoor for $1.119b, adding a large number of contracts to its Australian arm. Unlike the Ooh Media Adshel acquisition, the details of APN Outdoor’s merger aren’t as clear. When Mumbrella pushed APN Outdoor boss James Warburton on whether the deal involved him remaining on as leader, or if his duties would be absorbed into those of JC Decaux’s current local leader Steve O’Connor, Warburton focused on the hurdles the deal still faced. Today Warburton said he was pleased to acknowledge the cleared transaction. “This means one of the key conditions to the highly attractive acquisition of APN Outdoor at a total cash consideration of $6.70 a share has now been cleared. We expected FIRB and OIO approval to follow ahead of a shareholder vote in October and implementation before the end of the year,” Warburton said. The ACCC clearance comes more than a year after the failed merger of Ooh Media and APN Outdoor. Ooh Media and APN Outdoor walked away from the deal just two weeks after the ACCC flagged its concerns. It also comes the same week as APN Outdoor’s Sydney Airport $10m contract win and the half year financial results for Ooh Media. APN Outdoor’s financial results were released this morning. The mergers come ahead of the City of Sydney tender, which is currently in the expressions of interest stage. Mumbrella understands The City of Sydney has extended JCDecaux’s contract for another year, due to the delay of the tender.